What would be of an asset library without a great selection of chairs for a living room visualization? Finding great assets that are compatible with Blender can be difficult because most people will share the files with incompatible formats. Today we found a model that you can use for your projects in a compatible format and a permissive user license. An artist called Matthew Bartkowiak shared on his Behance page a free model that might help you in a living room visualization project. It is an Avaro Seat that comes in several types of files. 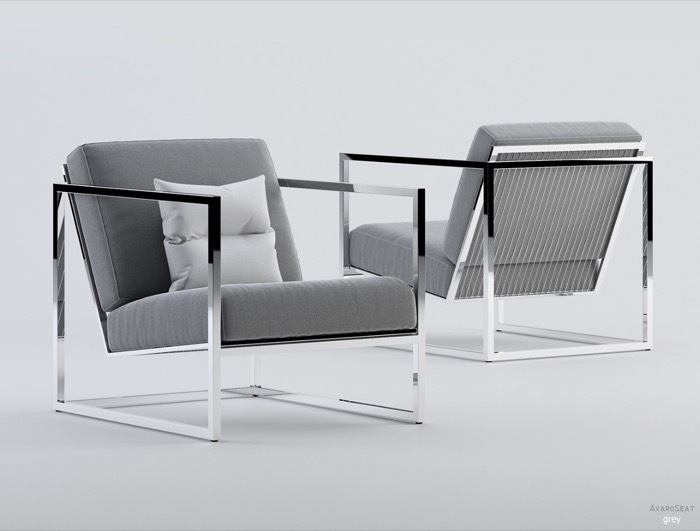 The main file is for 3ds max and V-Ray, but he also offers versions of the chair in both OBJ and FBX. Making the furniture model perfectly compatible with Blender. What about the license? According to the artist description on his Behance page, you can use the model for commercial projects with no restrictions. You will also find all necessary textures in the 3d model on a separate folder. The links are pointing to a Google Drive shared-link, which means you should download that as soon as possible because it could go offline at any moment.